We work with children, young people and their families to treat eating disorders. We look at physical health as well as mental health and working with you we will put together a treatment plan to help you get back on track. We support children and young people aged 10-18 years old who live in Sussex or who are registered with a GP in Sussex. Children under 10 are assessed case by case to find the best treatment option for them. We are a multi-disciplinary team of clinicians, experienced in working with children, young people and families effected by an eating disorder. Our team includes psychologists, psychiatrists, psychotherapists, nurses, dieticians, a paediatrician and systemic family therapists/practitioners. Working with you and your familiy we will put together a treatment plan that considers your individual circumstances and needs, to help you make the best possible recovery. We work with children and young people who have anorexia nervosa, bulimia nervosa, and avoidant/restrictive food intake disorder (ARFID) including binge eating disorder. We do not accept referrals for vomit phobia, fussy eaters or where the eating issues are secondary to another mental health condition such as anxiety or associated with learning difficulties. If a child/young person is referred to us but does not meet our crtieria, or our assessment finds that they child do not have one of these illnesses, we will advise the family, and the person who referred them, where to get alternative support. Some young people from different cultural backgrounds, for example young people from black, minority and ethnic (BME) backgrounds, may have a different experience around eating, but it may still be an emerging eating disorder. Reduce the length of inpatient admission when admission is necessary. Asking for help from our service is known as making a referral. A referral can be made by a young person, a parent/carer, a GP, schools, paediatricians and Child and Adolescent Mental Health Services (CAMHS). Whilst we are happy to accept referrals from all of the above we recommend that the young person sees their GP first as they can help in making the decision about whether he/she meets our criteria for treatment. The GP can also advise on an alternative diagnosis or explanation for the child/young person's eating issues, and can assess and give advice on any physical risks or health problems. The GP should then make the referral and the additional information they provide will enable us to make a more accurate decision and avoid unecessary delays. Please be aware that emailing from iCloud, Gmail, Hotmail, Live, Yahoo or other private email accounts to NHS.net is not secure. If you would prefer to send the referral form via post please sent it to us at the address listed under 'Where can you find us?'. Our team will contact the main carer by telephone unless the young person has self-referred and explicitly requested otherwise. We aim to be in contact within 24 hours of the referral being received. If we receive the referral outside of normal working hours we will be in contact on the next working day. If a child/young person becomes physically unwell whilst waiting for a referral please either contact their GP, call the NHS non-emergency helpine 111 or attend A&E. The child/young person may be asked to attend a physical health check before we carry out a full assessment so we can ensure their safety and offer advice. This will include an ECG (to check their heart), blood tests, blood pressure check and height and weight measurements. Before coming in for an assessment we ask the young person to fill in and return some questionnaires and consent forms. This gives us additional information about things like their family, how they are feeling, eating behaviours and attitudes, and helps us to prepare for the assessment. Some of the questionnaires will be repeated throughout treatment so that we can make sure that the young person is making progress and we'll share the results with them and their family. The initial assessment will be at Chalkhill, which is on the Princess Royal Hospital site in Haywards Heath, West Sussex. This normally takes between two and two and a half hours. Our team includes experienced eating disorder specialists. We'll ask some questions about how each individual is feeling and the difficulties they are experiencing. We'll also talk about their goals. This assessment will help us understand more about the family and their needs and together we will decide on the best package of care, treatment and support. When we talk about the family we mean the young person, parents, carers and any other children they may have. We will check the child/young person's height and weight and we'll also do some other physical health checks such as blood tests, blood pressure check and and an ECG (heart test). After the assessment, if we have treatment that is suitable, we’ll talk to the family about where they would like the next appointments to be. It could be at one of our local clinics or somewhere in the local community. All treatment and support is tailored to the individual and their family. It may include regular family meetings (weekly at first, reducing as things improve), individual sessions, group treatment sessions with the whole family and parent/carer skills workshops. During treatment the family will work with an experienced multi-disciplinary team of clinicians. They may see a psychiatrist or paediatrician and we may prescribe medication, including supplements and multivitamins. Research has shown that young people who are able to recover at home have fewer relapses and are more likely to sustain long-term recovery than those who are admitted to hospital. However, if we believe it is in the best interest of the child we may advise admission to hospital. Information discussed within sessions is treated as confidential. However, if we are concerned about the safety of a young person or another, we will share this information with other professionals as part of the Child Protection and Safeguarding Policy. If this is the case we will always try to inform those involved of what we are doing. Monday to Friday (except bank holidays) between 8am and 8pm for routine appointments, home visits, text messaging, emailing, telephone contacts and general enquiries. An on-call service is available between 10am and 6pm Saturdays, Sundays and bank holidays. Chalkhill reception: 01444 472670 (Monday to Friday, 9am to 5pm). We've partnered with beat, the UK's eating disorder charity, to make sure that young people and their families have the information and support they need to help them throughout their recovery. Our plans include care skills workshops for parents and carers, peer support groups and carer ambassadors to work out in the community and encourage people to get involved in our other support activities. 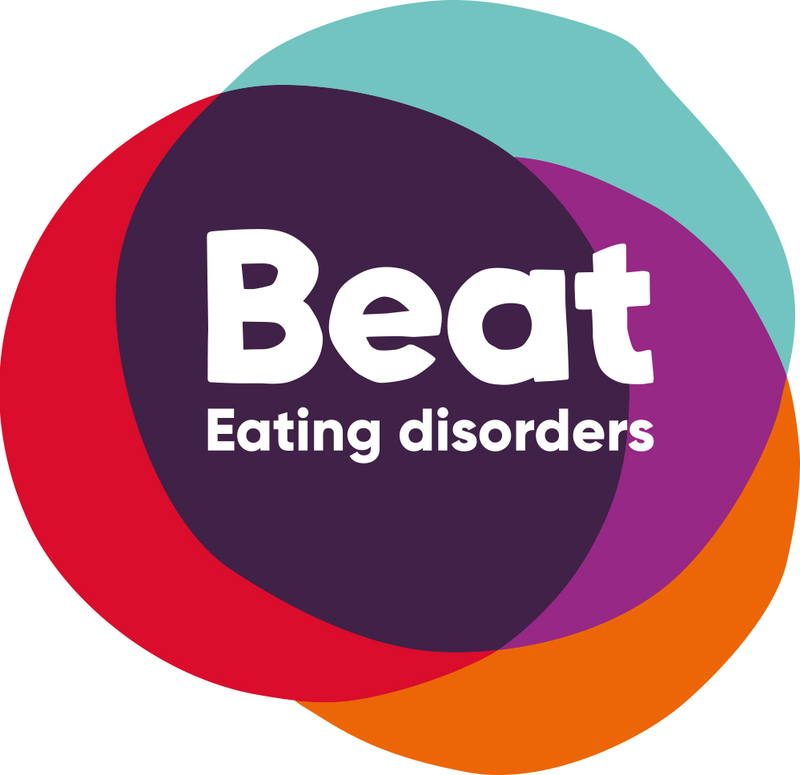 Beat will also provide training for professionals who work with young people to help them recognise and understand eating disorders. Full details of our exciting plans are available on beat's website. Service leaflet - click here to download. Children and young people postcard - service information - click here to download. Postcard for parents and professionals - "are you concerned about the eating habits of a young person?" - click here to download. Postcard for children and young people "are you concerned about your eating habits?" - click here to download. Care pathway - click here to download. Referral form - click here to download. Anorexia and Bulimia Care - Peer to Peer Support for Parents and Carers - click here to download.